It is 1950 in Nazi-occupied Paris. Clearly, we are in a reality alternate to our own. If Germans were the only invading force, that would be bad enough. But Paris is also overrun with nightmare visions plucked from the imaginations of surrealist writers, painters, and sculptors who believed that art could conquer fascism. And there are infernal invaders too, strange demonic entities vomited up from the bowels of hell - it seems that they are allied with the Nazis, but only to a point. For the citizens trapped within the city limits, it is safest to avoid all three types of monster. Our protagonist, Thibaut, is a member of La Main à Plume, a splinter group of Surrealists who stayed behind in Paris, while André Breton and many of the movement's leading lights fled to safety in America. Thibaut's group patrols the city streets, in wary coexistence with the manifested art, holding the Nazis just barely at bay. After several of his friends are killed in a raid gone wrong, Thibaut teams up with an American woman, Sam, whose cover story (she says she is shooting photos of the strange manifestations in Paris for a book) seems a little thin, but whose cunning and street smarts are a valuable asset. Together, Thibaut and Sam seek the source of the surrealist manifs and the secret of the rumored German superweapon known as Fall Rot - desperate to turn the tide of their supernatural war before this new horror swallows art and humanity alike. I went into this book fully expecting to not understand it. I had heard that it was essentially a love letter to the Surrealist art movement, and - aside from a vague mental image of Dalí's floppy clocks - I knew almost nothing about Surrealism. Given China Miéville's towering intellect and exhaustive knowledge about his many obsessions, I figured this book's insights and allusions would breeze right over my head. Thankfully, I was only half right. 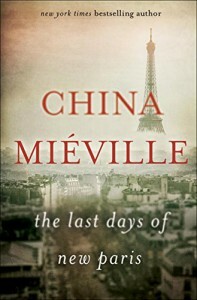 Although I would have had no idea how to envision the manifs or interpret their significance from the novella's text alone, Miéville was kind enough to include an appendix of endnotes, giving philistine readers like myself the tools to track down images and background info on Paris's living oddities. There's a pretty decent compilation of them here. So this rapidly became a very bumpy, stop-start reading experience, where I'd read a sentence, flip to the endnotes for a citation, spend 20 minutes falling down a google hole, and come sputtering back up for air having completely forgotten what was happening in the narrative. I read most of these chapters three times through or more, carefully knitting art and context to the characters' experiences. 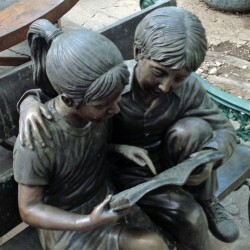 With many other authors, this would have exhausted me, taken me completely out of the story. I've never been particularly interested in art history, anyway. But here, as usual, Miéville is a wizard. He never tells the reader why Surrealism is fascinating, and he never infodumps a bunch of names, titles, or doctrines. He just writes a gripping story that threads in hints of the movement's history and influence, and lets the reader do the rest on their own. This is my favorite way to learn - from watching somebody else love something, and being compelled to discover why they love it so much. But I don't recommend The Last Days of New Paris just for this didactic aspect. If the thought of learning about Surrealism vaguely bores you (as it did me! ), that's no reason to avoid this book. It's also a fast-paced urban fantasy, a fascinating alternate history of World War II, a gritty survivalist tale reminiscent of the best of the postapocalyptic genre. Its characters are believable, but have enough Miévillian weirdness to keep you guessing about their outlook and motives. Its horrors are beautiful and strange and terrifying. You could - maybe you should - plow through this in one satisfying sitting, and only tuck into the endnotes later. It's an engrossing reading experience, either way. Perhaps some understanding of the nature of the manifs of New Paris, of the source and power of art and manifestation, may be of some help to us, in times to come.